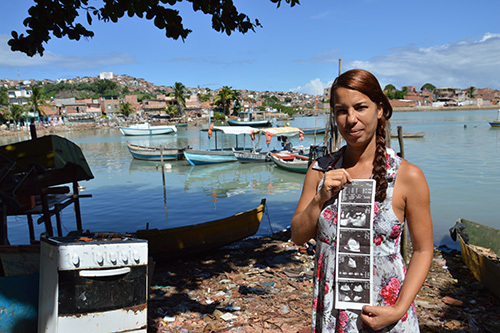 BAHIA, Brazil – Young people are taking the lead against Zika in the slums and favelas of Brazil, where poor sanitation has led to a proliferation of mosquito-borne illnesses, including dengue, chikungunya and Zika virus. 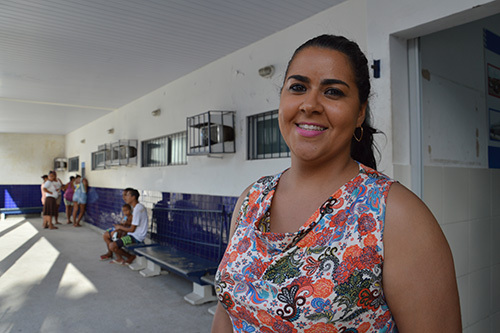 "The youth were the first stepping up to screen for the Zika epidemic within our community,” said Mariselma Bonfim, a member of REPROTAI, a youth organization working with UNFPA to disseminate health information in the Salvador suburb of Bahia, one of the states most affected by the Zika outbreak. On a recent afternoon, a group of REPROTAI members went door-to-door in a congested slum to speak to residents about improving environmental sanitation, part of efforts to reduce mosquito breeding grounds and prevent the spread of disease. They came across several teenagers splashing around in an open sewer to relieve the heat. The REPROTAI members were dismayed. These are the kinds of conditions – lack of clean water and proximity to stagnant, dirty pools – that have encouraged the spread of disease. Before the Zika outbreak, UNFPA worked with REPROTAI – which stands for Protagonists’ Action Network in Itapagipe – to help young people develop life skills. Members of the group raise awareness among their peers about preventing sexually transmitted infections, stopping gender-based violence, accessing reproductive health care and other rights-related issues. When Zika struck the community, it became clear that irregular water supply was driving the problem. Even solutions to poor water access, like the storage of clean water, have turned out to promote the spread of the disease. REPROTAI members immediately took action. "They felt uneasy after finding out that Zika wasn’t only connected with the mosquito but with the environment itself,” Mariselma said. Zika can also be sexually transmitted. After one has become infected, condoms should be used to prevent further spread of the virus. 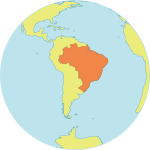 Silas Santos, an 18-year-old REPROTAI member, explained that they are airing radio messages and approaching community members to encourage Zika prevention. "We deliver information about Zika virus, basic sanitation, preventive actions and how to stop Zika’s spread in our community,” he said. The outbreak has disproportionately affected Brazil’s marginalized communities. Community members directed the REPROTAI volunteers to the home of a woman named Fernanda Ricardo. Her child was the first in the community to be born with microcephaly, a devastating complication of Zika infection during pregnancy. During her pregnancy, Ms. Ricardo, 35, did everything she was supposed to. She took care of herself and received regular prenatal consultations. But one day, she felt something was wrong. Ms. Ricardo shared her concerns with her doctor, who determined that the baby’s skull was not developing as expected. "It was when I looked at my baby that the doctor said she had microcephaly and other malformations,” Ms. Ricardo recounted, tearing up as she spoke. “I couldn´t understand what had happened to her. Her head was smaller. She appeared to have several disabilities, and her heartbeat was very fast." The tragedy sparked fears in the community, alerting other pregnant women to the risks they face because of poor environmental conditions. Today, Ms. Ricardo is pregnant again, and expecting a boy. Women seek her out for information about Zika and pregnancy. "I´ve advised many pregnant women who come to ask what the symptoms look like. They got frightened because of what happened to me," she said. UNFPA is also working – with the support of partners including the Oswaldo Cruz Foundation, Canadem, UK Aid, the Government of Japan and many local civil society groups – to disseminate information about Zika and to promote sexual and reproductive health and rights.